...a Severe Thunderstorm Warning Remains In Effect Until 1115 Am Cdt For Southeastern Caldwell...south Central Bastrop...northeastern Gonzales...southwestern Fayette And Northwestern Lavaca Counties... At 1035 Am Cdt, A Severe Thunderstorm Was Located Near Gonzales, Moving Northeast At 30 Mph. Hazard...60 Mph Wind Gusts And Quarter Size Hail. ...Read More. 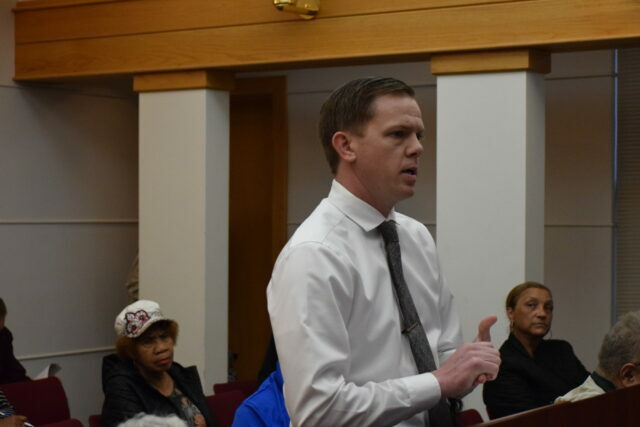 CROCKETT – During the Crockett City Council meeting held on Monday, April 1, Crockett Police Chief Clayton Smith provided an update on the murder of 33-year-old Artimas Dewayne Lockhart. Readers may recall Lockhart was gunned down as he sat in his car during the early morning hours of March 26. After providing his monthly report to the council, the police chief informed those in attendance he would provide further details surrounding the recent homicide. Before he began, Smith requested those who would prefer not to hear the details, to please exit the room for a brief moment. “As you may know, in the early morning hours of March 26, we (Crockett PD) received a report of a gunshot victim in the 100 block of Lewis Circle. Our officers arrived on-scene and they found a male victim, unresponsive, with an apparent gunshot wound,” Smith said. “They immediately pulled him out of the vehicle and began CPR but they were unsuccessful. 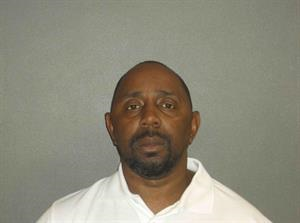 Justice of the Peace (Precinct Two) Ronnie Jordan arrived on the scene and pronounced him deceased, sometime later,” he said. Smith said there was an eyewitness to the crime who was able to identify Willie James Jones – a 46-year-old Crockett resident – as the gunman. During the initial incident, Lockhart managed to return fire and wounded Jones, who fled the scene. A short time later, the police chief explained, Jones made his way to a family member’s residence in Lufkin. “He called the Lufkin Police Department to report he had been robbed and he had been shot,” Smith said. As Lufkin PD began to investigate the gunshot incurred by Jones, it was discovered he was connected to the earlier homicide in Crockett. “He was taken to the hospital where he was treated for a gunshot wound. He is currently in a hospital in Houston,” Smith said. “We are in the process of working with the Texas Rangers to have him magistrated in Harris County and then he will be brought back to Houston County where he will face first degree charges of murder,” Smith said.